G.S. 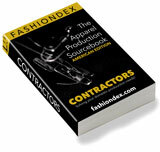 FASHION solving Dresses & Blouses production and contracting needs. Description: Sewing contractor of dresses, evening/formal, skirts, blouses & pants. Interested in partnering with a freelance designer. Compare G.S. FASHION with all 12 listings in Dresses & Blouses.